Link I'll never drink again Vol. 2: Well, We Did It. 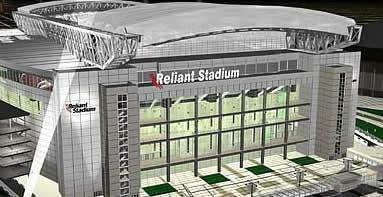 Got up early this morning and drove down to the Reliant Stadium and volunteered to help with the evacues from Katrina. My friend Chris went with me and after a quick sign up, a 4 minute orientation (they're not refugees but guests, clients or evacues), a very long walk by the Astrodome (looked inside, it's just like on TV) and then past it to the Astrohall where we helped set up and take down breakfast and then set up and serve lunch for 4.5 hours and then a really long walk back to the car. We were there from 8:15 am to 1:30 pm. Boy my feet sure hurt. We both enjoyed ourselves. While we got to see lots of people walking around we didn't really get to interact with a lot of the guests. We were doling out food to the medical people, the police and national guard. Kind of just lucked into that. When we first got there we just sat for a bit and waited for someone to ask for help from all of us. They'd say they needed 15 people to serve food or 4 people to guard some doors or 4 people to do data entry. I could have gone for the data entry but Chris said he could only type with two fingers. We went for the serving thing. The troops got fried chicken, green beans, good potato salad, roll and butter and whatever they wanted to drink. No limits, as much as they wanted. We had to throw out a lot of Krispy Kreme donuts and mini muffins and breakfast rolls. Once something is opened, if it doesn't get used it's out in the trash. Everyone and I do mean everyone had hand sanitzer soaps on them also gloves, masks and sanitizing wipes. It was quite impressive. Everything seemed peaceful and as well organized as they could be, given the circumstances. I'm going back for either lunch or dinner sometime next week and probably next Sunday too. I'm really glad I went.